Born in Trier, Germany, Karl Marx studied law and philosophy at university. Due to his controversial political publications however, Marx became stateless and lived in exile with his wife and children in London for decades, where he continued to develop his thought and publish his writings, often researching in the reading room of the British Museum. His best-known titles are the 1848 pamphlet, The Communist Manifesto, and the three-volume Das Kapital. His political and philosophical thought had enormous influence on subsequent intellectual, economic and political history and his name has been used as an adjective, a noun and a school of social theory. 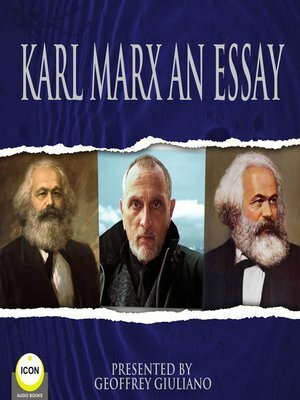 Marx's complex theories about society, economics and politics—collectively understood as Marxism—hold that human societies develop through class struggle. In capitalism, this manifests itself in the conflict between the ruling and working classes. Employing a critical approach known as historical materialism, Marx predicted that, like previous socio-economic systems, capitalism produced internal tensions which would lead to its self-destruction and replacement by a new system: socialism. Marx actively pressed for its implementation, arguing the working class should carry out organised revolution to topple capitalism and bring about socio-economic emancipation. Marx has been described as one of the most influential figures in human history.